Today was my first stint as a contest judge. It came out of the blue. I suppose Raul was scouting around for a contest judge in a Joint Area Speech Contest and Mam Lolet gave my name. The venue for the Joint Area Speech Contest was W.R. Grace Operation Center,Inc. iHub-1 Building, Northgate Cyberzone, Filinvest Corporate City. Filinvest Alabang, Alabang Muntinlupa. 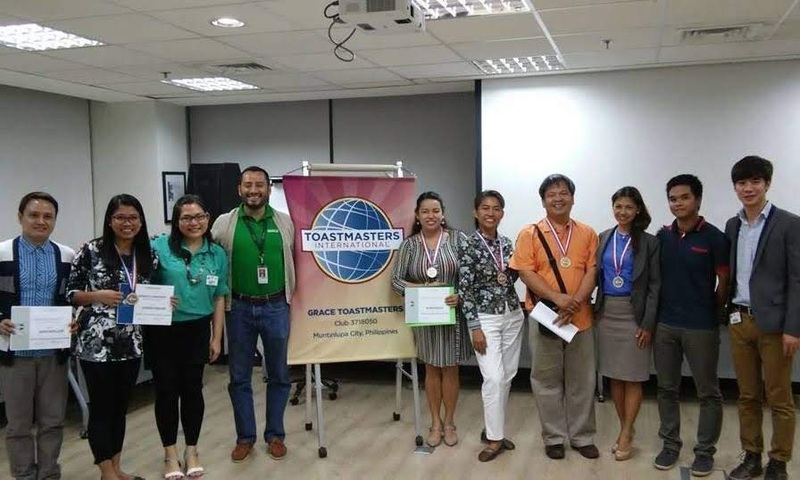 It was hosted by the Grace Toastmasters Club. Above is the venue map that Raul sent. Since the parking is mostly reserved to employees, I was asked to park away to an open area near Crescent Drive. The parking spaces there weren't well-developed yet. It was along walk for me. I was one of the judges and there was a bit of secrecy at the contest. We were not allowed to mingle with any of the contestants or clubs. Heck, we weren't even introduced. The sadder part was there was no photo-op of any kind of us as judges. Fortunately, I found a familiar face and a kababayan, Vir (or Ver) who was there also as a judge. Vir or Virgilio Aseco Santos comes also from the club I'm in, BF Community Toastmasters Club, although he also was a member from another club. 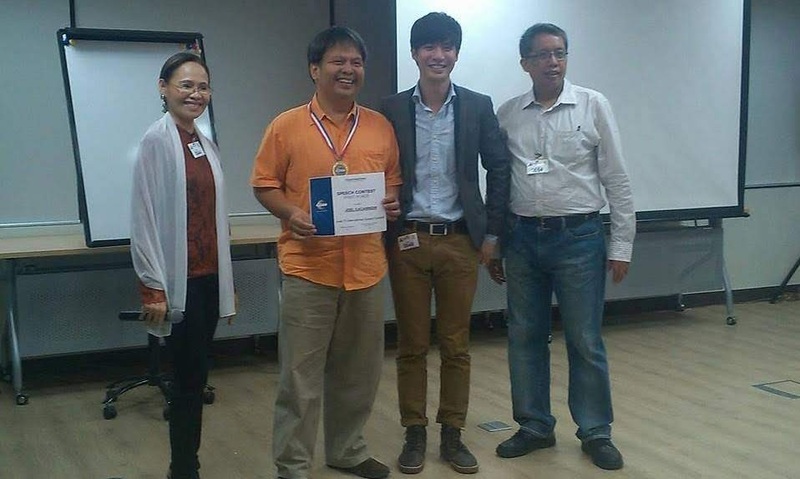 I first met him when I tried to resume my membership with Toastmasters in 2014. What I found odd about him was that he's never competed in a speech contest before although he was already an ACB. 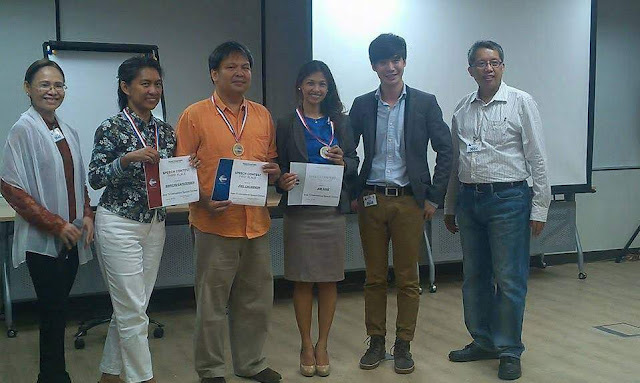 Some familiar faces in the contest were (L-R): Beth Pableo, Joel Cacanindin (Metro Lipa Toastmasters), Division H Director Hiroki Ikari and Raul dela Vega.